As you have probably noticed from our recent series showcasing cosplay from Boston Comic Con, we ladies have a great interest in costuming and the culture around cosplay. Both the Goog and I like to costume. And I’m passable at it. I think my Halloween costumes always work, and I have a lot of fun putting them together and wearing them. The Goog is better, he even tried his hand at fabrication last year. 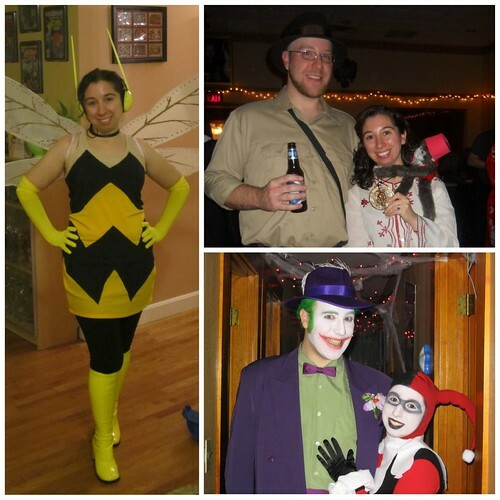 I mostly do my costuming in a very small sphere (the Comicazi Halloween Party, the occasional super hero themed 5K run) and have never worn a costume to a convention. I do consider wearing one each time we attend a con or event, but I'm not sure I'm ready for that (big reveal- Tiny Doom is a secret Introvert!). So, I don’t really think of myself as a cosplayer, and at best, I am an extremely casual one. I do, however, have a great appreciation for and interest in cosplay, especially really great cosplay. I also want to know more about the people who costume at the next level. How did they learn the skills? Why do they do it? What was the initial attraction? When I first heard of SyFy’s new series “Heroes of Cosplay”, I was excited. A reality-based show that spotlights the skills and talents of people who are at the top of their cosplay game. There is a lot of focus on women who cosplay, and yes, I know that the SyFy audience is predominantly male and that’s what they want to see...but seeing talented women create is also something I want to see. One thing this show makes clear --- cosplay has become an industry. A big money one. Costumes can cost hundreds of dollars, and for some creators, can lead to professional careers in modeling or fabrication. This is the story this show has chosen to follow. Talented cosplayers entering costume contests at various conventions, hoping that their work will be noticed and propel them into “going pro” (I’m defining “pro” as cosplay in some form becomes your primary source of income). While I am sure the people on this show also costume for the love of doing it...it’s sometimes really hard to see that, due to editing that focuses much more on in-fighting, emotional breakdowns, and general cattiness. What I hoped for: A showcase of talented ladies talking about why they cosplay, what they love about it, and how they got into it. While I know this show isn't a how-to, I would also like to hear more about how the costume pieces are created (there are some how-to's on the shows SyFy website). This isn't just sewing machine costume creation here. There are polymers at play. POLYMERS! Also electrical wiring, fiberglass casting, and let’s not even get into the panic attack I had just watching the process of creating a mold of one of the women’s heads! What I got: As I mentioned above, the editing on this show seems hell bent on making cosplay dramatic, competitive, and a bit obsessive. And while it might be all these things, it’s also creative, community building and I am hoping, fun for the cosplayer. For me, that’s what’s missing here. The first 3-4 episodes feature an inordinate number of catty discussions including sentiments about having to “cosplay to your body type” to be successful, and your validity as a cosplayer if you rely on sexiness rather than talent to get noticed. Frankly, I would argue show lead and well-known cosplayer Yaya Han uses both...so why can’t others? While these are interesting discussion points, the show jumps into them before establishing a more well rounded view of the cosplay community. Because of this, the show's cast is positioned as "experts" and therefore voices of the community. Having met a few talents cosplaying ladies at the recent Boston Comic Con, I question that representation. What I am left with: Someone from within the cosplay community might feel even more strongly about this, but even as an outsider, I am left feeling that this isn't a valid, or helpful presentation of the cosplay community. So what’s the point? Heroes of Cosplay doesn't encourage outsider involvement. Rather it makes cosplay seem overly exclusive. 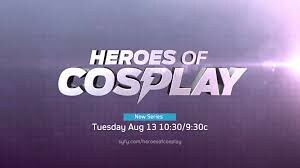 Maybe a better idea for this show would be to showcase the community, show how one gets involved in cosplay, and why people do it…”going pro” isn't the motivation for everyone. And maybe it's the people who go out there and cosplay what they want, despite body type or gender, who are the ones who are really heroic.